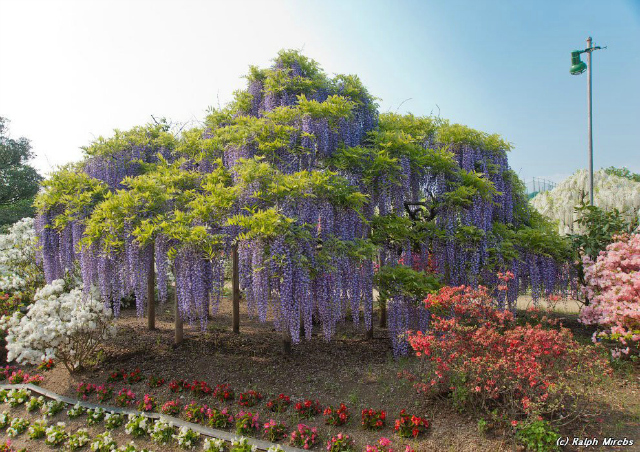 If the Wonderland in which Alice lives is real, Ashikaga Flower Park would be the entry to it. 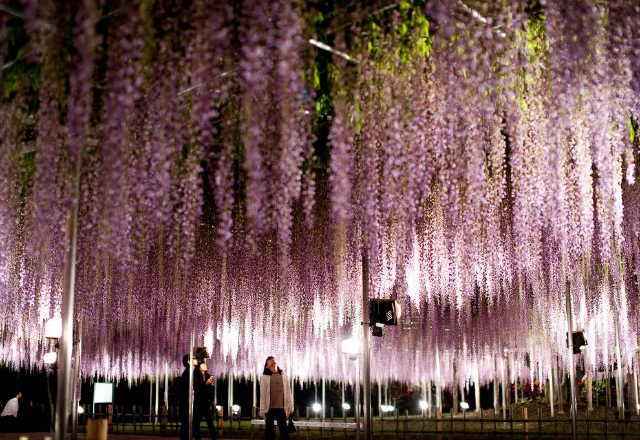 Located in Tochigi, Japan there is a stunning wisteria tree that is often called "the most beautiful in the whole world." 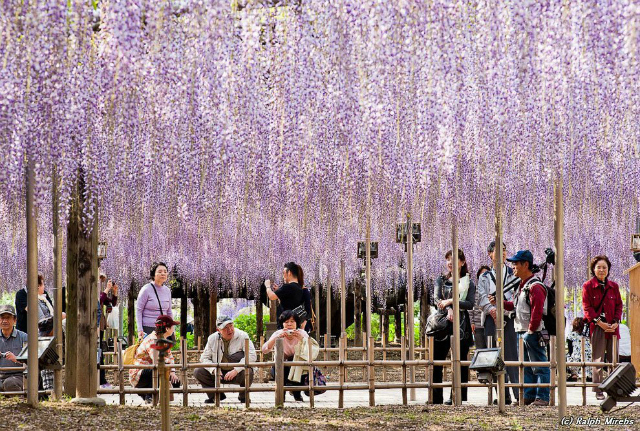 The 143-year-old tree blooms ever year and creates an "umbrella" of flowers for all its visitors. 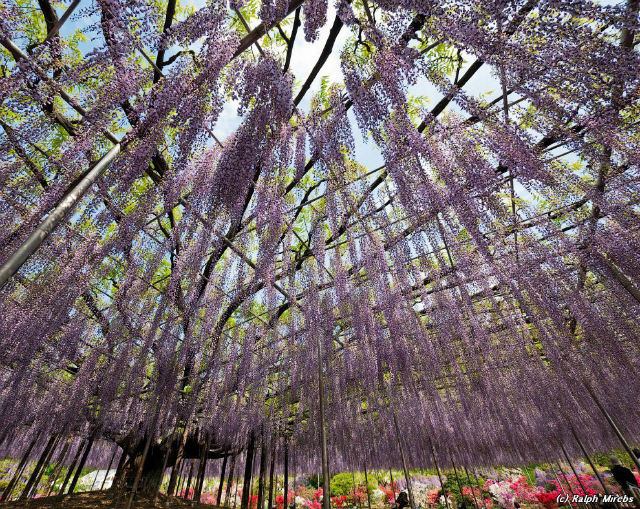 This flower park feels so magical in these photos. It's as beautiful in the day as it is in the night. In a world that feels crazy right now, seeing peaceful images like these make me feel hopeful. 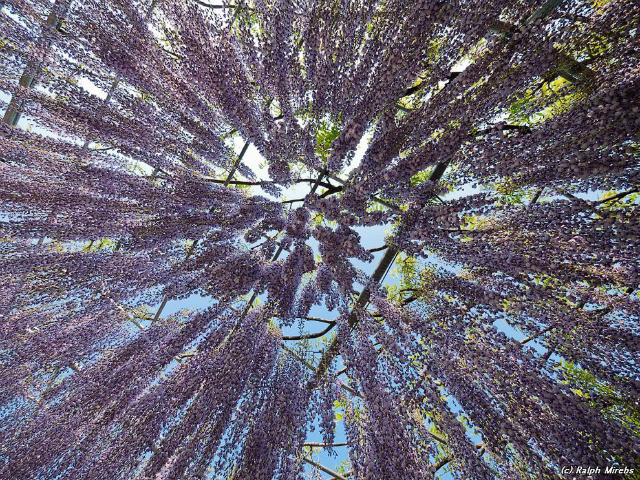 Wow.. these photos are breathtaking! Magical, indeed! Such stunning photos...I can only imagine what a sight it would be in person! 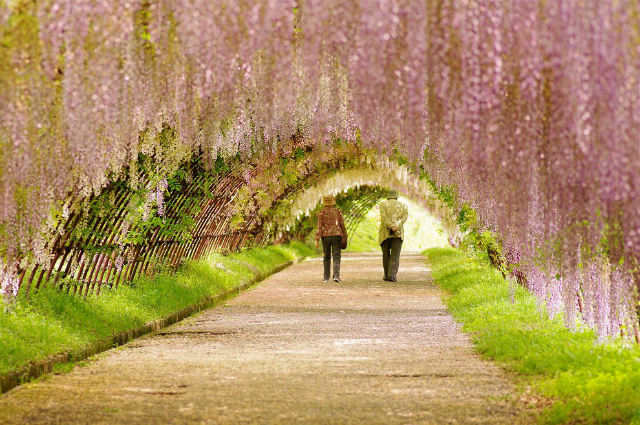 Oh my gosh, that wisteria is spectacular! It's is spectacular!!! I wholeheartedly agree Nancy! My goodness these photos are GORGEOUS. Nature continues to astound me! omg this is so beautiful. 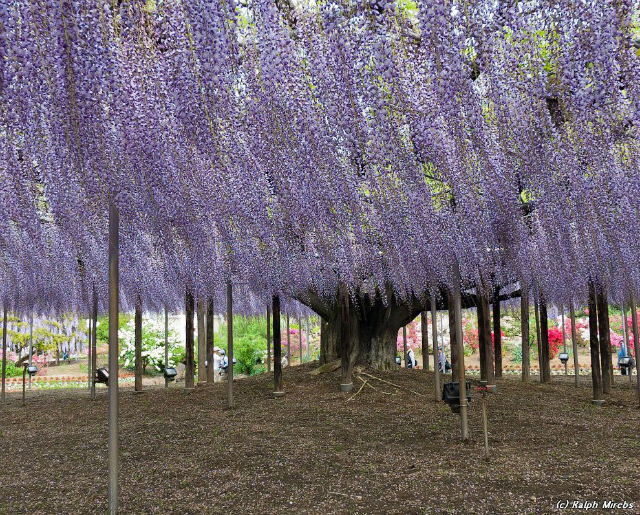 i want to go there lol. Lovely little blog, can you please check mine out, would mean so much as I am still very new to the world of blogging. Good gracious this totally took my breath away. Thanks for sharing with us! Making me so excited for the blooms that we're still waiting for over here in Chicago. Wow, wow, wow. 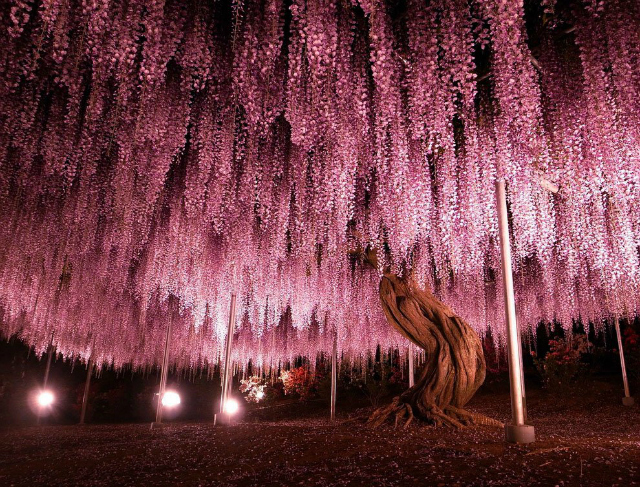 This has to be the most stunning place I've ever seen. Gorgeous photos! OMG!!!! This is my favorite lavender!!! !